It says it ends at 12pm PST which is at noonmidnight PST on the US west coast. So you'll have to move fast if you want to get it. Also, Harappa Ancestry Project is just two submissions away from 200 participants. I upgraded my desktop last week. The bad news is that I am having to upgrade from XP to Windows 7 which means reinstalling everything. The good news is that Ubuntu ran perfectly after the upgrade. And the best news is that with an Intel Core i7-2600 and 8GB of RAM, Admixture is running about 6 times faster. These 204 samples increased the total to 4,090. Finally, I added the 165 founders from the Harappa Project participants (up to HRP0180). 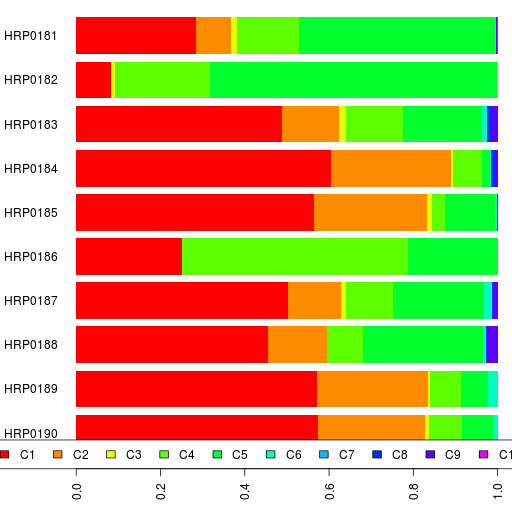 The crossvalidation error for the admixture results with K (number of ancestral components) from 2 to 20 is plotted here. 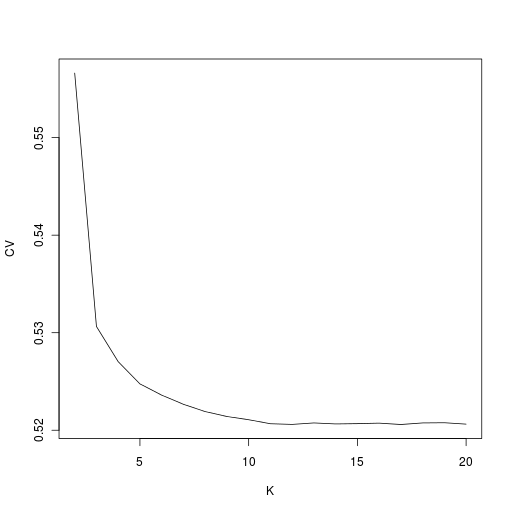 The lowest crossvalidation errors are for K=17 and K=12. The admixture results are in a spreadsheet. 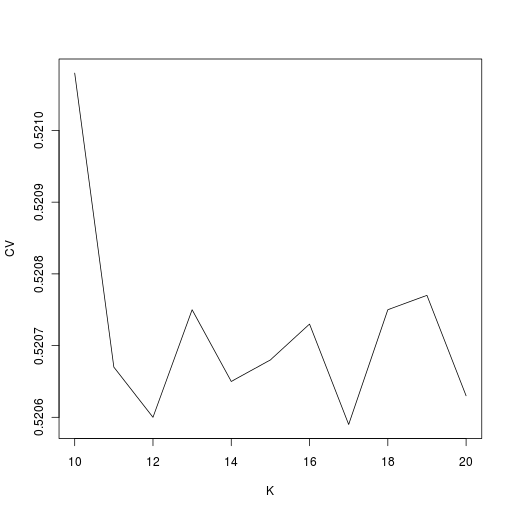 In addition to K=17 and K=12, take a look at the results for K=15. PS. I should point out that the names for the ancestral components are just useful mnemonics based on the current distribution of that component. Also, a component with the same name at one value of K is different from a similarly named component at another K.